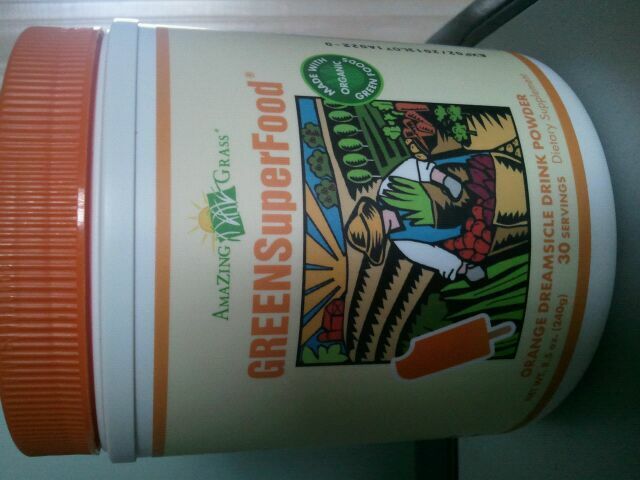 Amazing Grass offered to send me a some of their Orange Dreamsicle Drink Powder to try for free. I accepted, and got this in the mail a day or so ago. 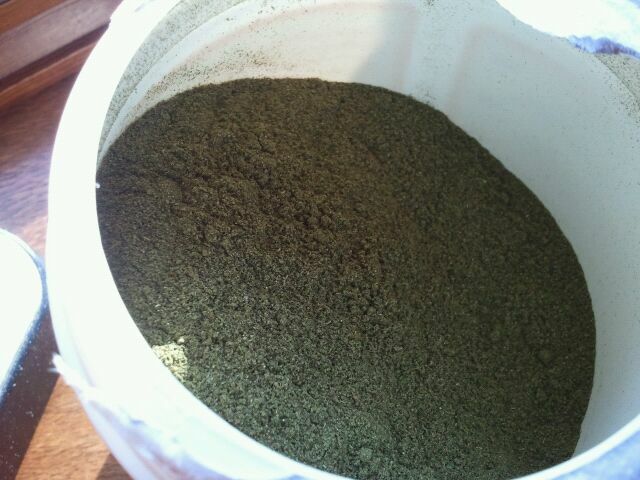 This powder has a whole bunch of stuff in it! According to the label, there are things like the “Amazing Grass Green Food Blend”, “Antioxidant Blend”, “EFA Fiber Blend”, “Digestive Enzyme & Active Culture Pre & Probiotic Blend” and more. 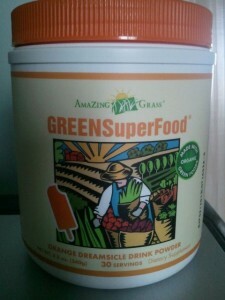 I liked it especially because of the “Green Food Blend” which had things like “Organic Wheat Grass” and “Organic Spirulina” in it, which are things I don’t consume on a normal basis. After my workout this morning, I wanted to have some with my meal. 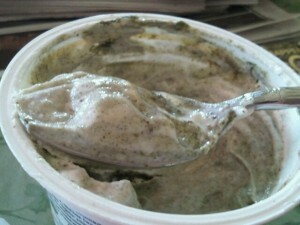 It suggests to “mix 1 scoop with 6 oz. of water, juice or your favorite milk”. I opted for water at first, so I could see what it really tasted like. Here’s what it looked like when I opened up the tub. Silly me. For some reason I expected an orange color, since it was called “Orange Dreamsicle”. Hah. With water, it mixed easily. It was kind of “piecy” in consistency. It had a very mild sweetness, and actually DID remind me of an orange creamsicle, but was no where as sweet. I wanted to try it some other way. Conveniently, I had been eating a Pineapple Chobani, and decided to mix some in. Not too pretty, but pretty tasty. 1 scoop is 30 calories, 1 gram of fat, 4 grams of carbohydrates, 2 grams of fiber, less than 1 gram of sugar and 2 grams of protein. Amazing Grass sent me some products to try, and one of them was the GREEN SuperFood Chocolate Peanut Butter Protein Bar. Combining two of my favorite things, chocolate and peanut butter, I certainly was excited for this. So I opened up the bar, and certainly was happy. It looked like a chocolate covered bar, and pretty thick too. I took a bite, and was actually quite surprised. The chocolate on top was smooth and sweet, I actually thought it was milk chocolate but the ingredients say it’s a “Dark Chocolate Coating”. The inside of the bar is, well, GREEN! They weren’t kidding about the “GREEN” part! I didn’t really taste too much peanut butter flavor, more like just a hint of peanut, but what I really tasted was a fruity flavor. It almost reminded me of chocolate covered raisins- but in bar form. It was tasty, though! 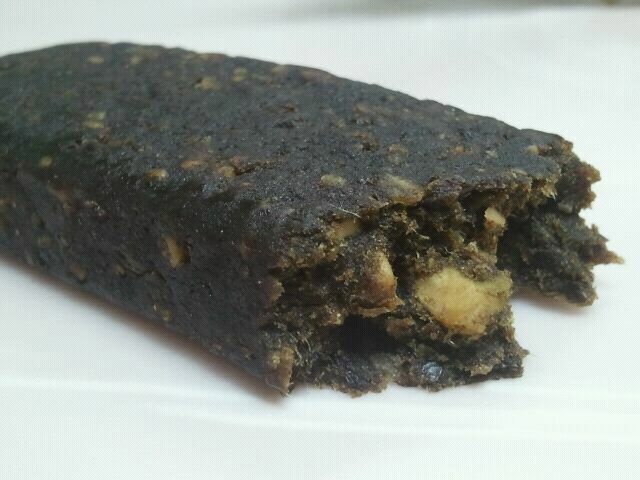 Definitely a dense and chewy bar, it provided a sweet and slightly salty taste that certainly satisfied. Overall, I give it 3 1/2 stars. It certainly was satisfying, and I liked the chocolatey coating on the outside. 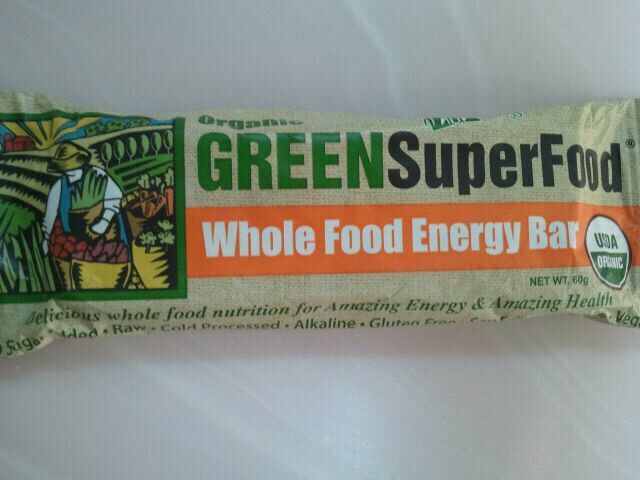 I really liked that it was made with organic ingredients, and contained the Green SuperFoods! However, I do wish it had more of a peanut butter taste, and slightly less fat per bar. Otherwise, I think it’s a great treat after the gym, or anytime! 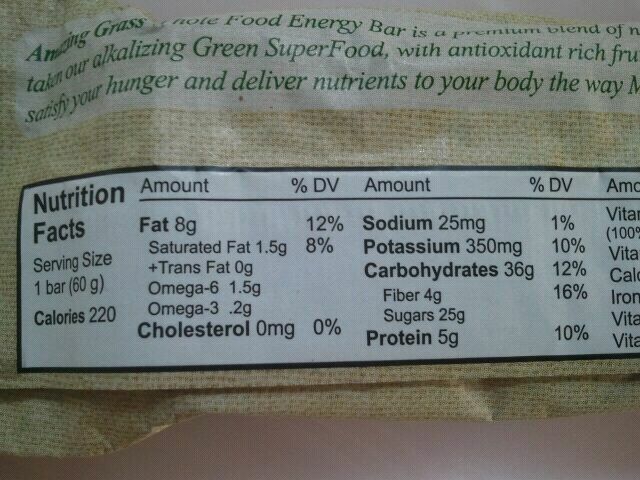 1 bar is 270 calories, 14 grams of fat, 28 grams of carbohydrates, 3 grams of fiber, 19 grams of sugar, and 12 grams of protein.